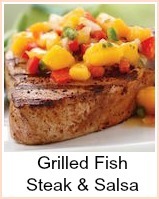 This grilled swordfish recipe is so simple to prepare. Swordfish is one of my favourites - it is so meaty and tender and because of this, you only need a bare amount of seasoning. This lemon and mint marinade is just right - you could substitute dill if you prefer, but nothing too strongly flavored. 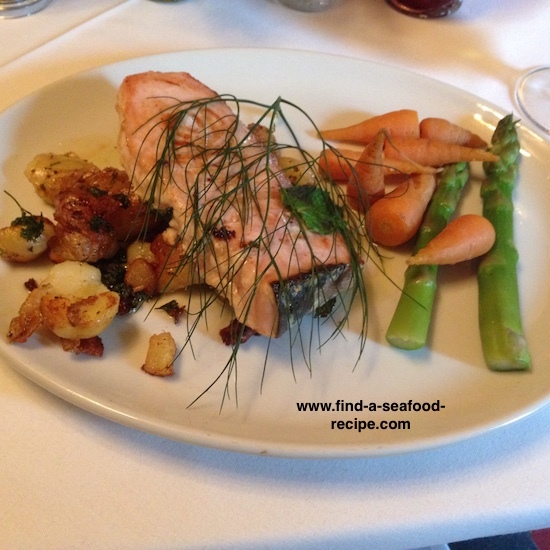 I like it served with crushed new potatoes, lightly fried in butter and some basic buttered vegetables - carrots, asparagus, garden peas, whatever you fancy or is in season. You don't need 'fancy' sides for this fish. 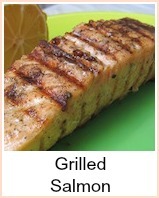 You can grill or broil it - grilling will get those charred lines on but broiling is just as good. It will take about 8 to 10 minutes to cook the fish, so have your sides nearly ready when you start. Mix the juice, oil, mint and a few twists of pepper together. Put your swordfish steaks in a dish and pour the marinade over. Let the fish sit for fifteen minutes, then turn it and leave it another fifteen minutes. Reserve the marinade to baste the swordfish as you cook it. Get your grill to a medium heat. 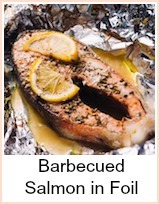 Put the swordfish steaks onto the grill, and cook for five minutes - baste and turn the fish. Cook a further five minutes or so until the fish is cooked. You'll know it's ready when it's firm to the touch. The fish will be opaque right through, you won't be able to see any raw flesh. Serve immediately with your ready prepared vegetables or you could have a side salad with some boiled new potatoes. 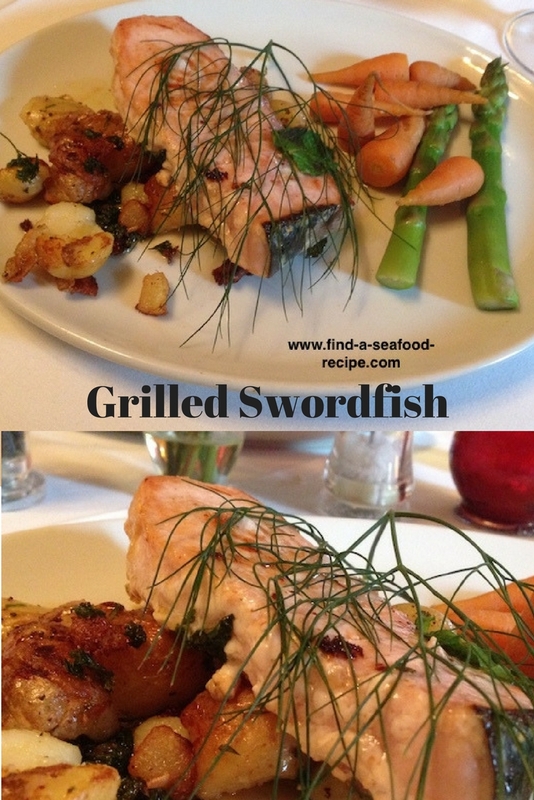 It's highly unlikely you'll need salt with the swordfish - the first time I tasted it, I couldn't believe it. It tasted of the sea. Interesting facts about swordfish - they are caught in the Pacific, Atlantic and Mediterranean but there is only one type. Their only predators are humans, whales and sharks, occasionally larger tuna - so, pretty high in the food chain. They eat other fish, squid and octopus. They are considered 'game' fish in that people like to hunt them. They are huge, with the females being larger than the males. You normally buy swordfish in steaks - one fish can make hundreds of steaks.